“With timely and right interventions children can be helped out of their drug problems. This requires broader interventions than only service delivery or education”, said CWIN representative Rashmila Shakya to the Commission on Narcotic Drugs in Vienna today. She recommended participatory methods to empower children. 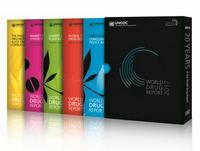 The 2017 edition of the World Drug Report is now available from the UNODC web site. 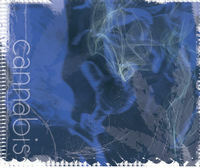 As usual it presents a massive amount of data on drug consumption and related problem. The 2017 version has a different format than the previous report as it is split into five booklets. 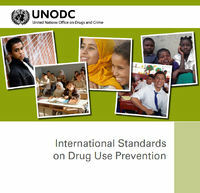 Prevention of drug problems does not give anyone a «license to kill». This is the essence in an open letter sent by FORUT to the Government of the Philippines through their embassy in Oslo. FORUT strongly appeals to the Philippines to stop using killings and other inhuman methods as a part of their drug policy. 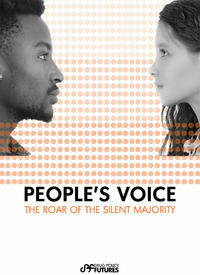 NGOs from all over the world have expressed the same concern. 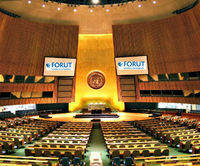 “A very welcome decision which makes it possible to widen and strengthen FORUT’s collaboration with the United Nations”, says Secretary General of FORUT, Morten Lønstad, in a comment to the fact that FORUT has been granted Special Consultative Status at ECOSOC. Just in time for the UNGASS conference in New York, the World Health Organization released a report that gives an update on what we today know about the health and social consequences on cannabis use. The report is a very important contribution towards a more sober and knowledge-based discussion around cannabis policies, in UN as well as in the member states. 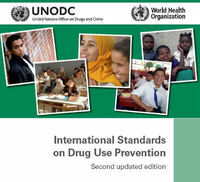 This publication from the United Nations Office for Drugs and Crime (UNODC) is an excellent introduction to the state of the art of how to best prevent drug use and drug problems. The text draws upon a review of existing research on prevention and recommends the most effective interventions and strategies for various target groups. Around 800 representatives from civil society organizations from all across the world joined the UNGASS conference in New York as observers and organizers of side-events. Here are some comments from prevention-oriented NGOs on the outcome of UNGASS.